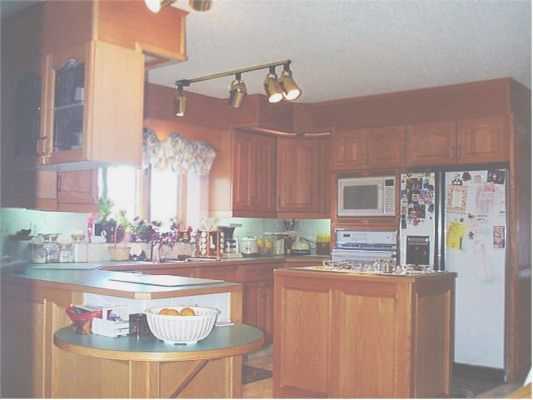 Kitchen with island and eating bar. Custom oak cabinets. Recommend this Kitchen island page to a friend.